ST. GEORGE — The driver of a Hummer who claimed to be blinded by the sun after reportedly driving through a stop sign and colliding with a passenger car did not convince police Monday. 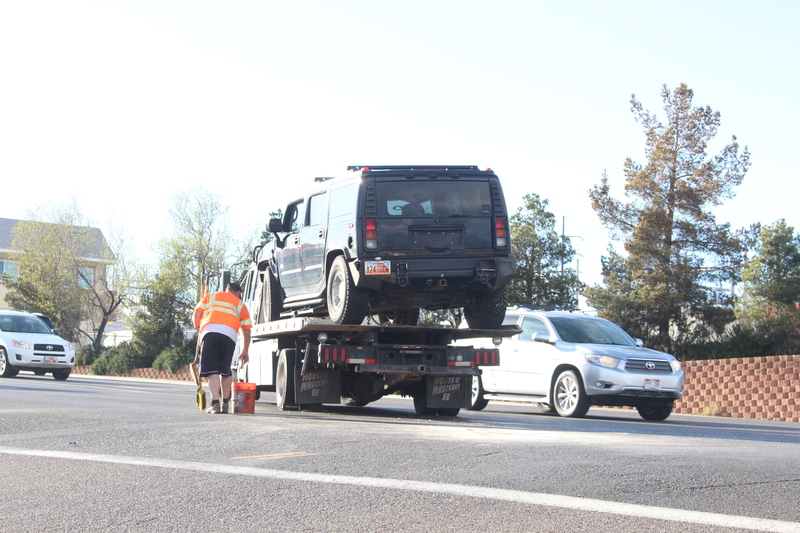 A St. George Police officer dispatched to the 5:48 p.m. crash at the intersection of 900 East and Red Hills Parkway cited the 49-year-old driver of a black 2003 Hummer H2 for failure to yield at a stop sign. “The driver (of the Hummer) claimed the sun was in his eyes, but the officer observed that the sun was high enough in the sky at this time that it should not have been in the driver’s eyes,” St. George Police Officer Lona Trombley said. The man driving the Hummer turned left from 900 East onto Red Hills Parkway and hit a westbound gold Chrysler 300 driven by a 63-year-old man with a 53-year-old female passenger, Trombley said. No injuries were reported at the time of the incident. Traffic remained mostly unhindered but slightly slowed while the outside lane of eastbound Red Hills Parkway was blocked off around the scene of the crash. The Chrysler sustained heavy damage to its driver’s side and a shattered windshield. The Hummer’s front end appeared to have sustained some damage in the collision. 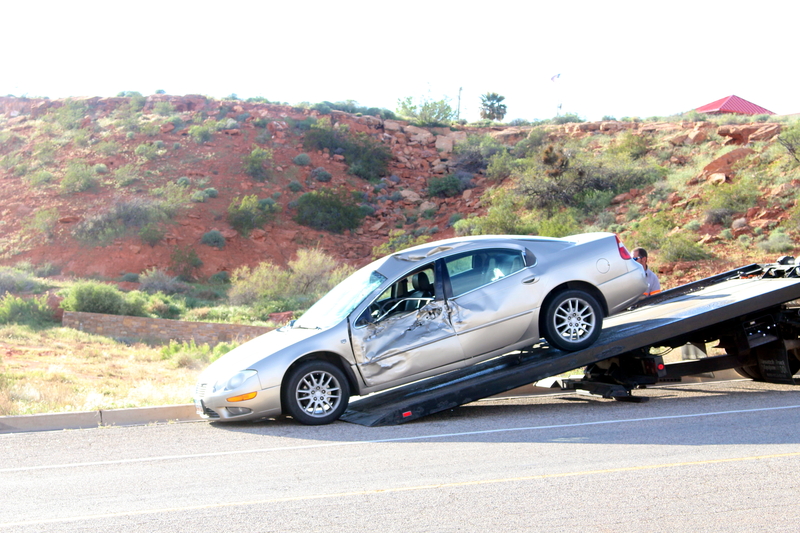 Both vehicles were inoperable and towed away. Gold Cross Ambulance and St. George Fire also responded to perform medical checks and clean up the area. Why would that sort of excuse be factored in even if it was legitimate? I’ve been sun blinded several times after making a turn or cresting a hill, and it’s awful to really have your forward view “blinded” like that, but absolutely if you hit someone– that is not an excuse. I buy into the whole “medical episode” excuse before this one, and that one is a stretch in its own right.